At some point as I’m clinging to the side of a 50-foot giant squid a kilometre below the surface of the ocean, a wave of existential vertigo hits me. No, it’s not the flurry of tentacles in our wake as we twirl through the water; it’s not the lightless void in all directions. It’s more the realization that I’m only the evidence of human life I’ve seen for thousands of miles. In terms of friends and smartphones and familiar things, I’m completely alone, and it feels like I’ve just glimpsed the edge of a cliff — and then I’m filled with a sense of total contentment. Sure, in one sense, I’m some white kid with better things to do, sitting at home playing ABZU. But in another sense, I’m just coming back from a paradigm-shifting emotional reset. I come back from my play session feeling unironically renewed. ABZU is an underwater adventure game that held in me in almost perpetual awe of its beauty. Through freedom of movement, peaceful interaction with abundant sea life, and explosively colourful environments, the game felt like a vivid dream, a complete departure from what I expect games to be like. 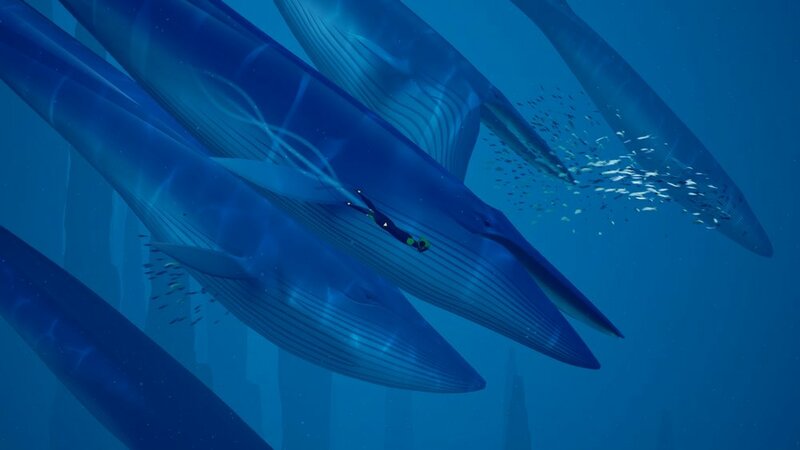 A briefly linear, yet deeply satisfying experience, ABZU is indicative to me of an emerging category in the gaming marketplace: for now, I think I’m calling them Peace Games. Peace Games tend to be 3-5 hours in length, with an emphasis on narrative coherence, raw beauty, and a complete departure from normal human affairs. With some exceptions, these games are also wordless and I think that’s where the aforementioned “vertigo” really strikes me. Language is the air we breathe as cultural creatures. What could be more otherworldly than its absence? 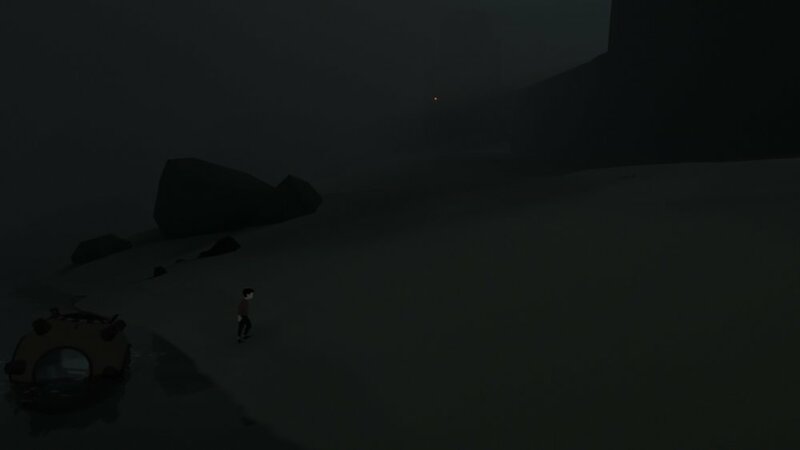 Journey, Grow Home, The Witness, Firewatch, INSIDE, and ABZU are all recent video-games that made themselves completely unforgettable to me within 3-5 hours. Simplistic, refined design, peaceful gameplay, and staggering beauty set them so far apart from the “blockbuster” AAA-games industry of today, that it makes me question what makes me want to play the latter games in the first place. It seems abundantly clear to me that these violent, death-and-money power fantasies aren’t an escape from daily life at all; they’re caricatures of it. Remember Desktop Destroyer? That so-called stress relief app they used to ship with every Windows computer, where you turn your mouse pointer into various weapons to annihilate an image of your desktop? Or Joe Cartoon’s The Boss, where you torture an ambiguous and increasingly horrified employer stand-in? These seem like the ultimate refinement of the AAA shooter to me. Just you, and your guns, and your big, stupid, familiar life. BANG BANG BANG BANG! FWOOSH!! But they don’t relieve the anxiety. They’re more like tantrum simulators, indulgent outlets for taboo impulses. But my feeling after a playing a Peace Game is an introspective glow, an enriched awareness of the world and of myself. They don’t sell themselves on “meaningful choices”, and yet, in their simplicity, Peace Games work as reflections of the player. They are true departures from our familiar foibles and frustrations, and let us return to them with new eyes. Peace Games are true virtual getaways. Wherever human ambition does feature in their narratives, it’s either viciously industrial (INSIDE, ABZU) or long-since-gone (Journey, The Witness, Firewatch, ABZU). Wordless design (with the exception of the intentionally word-centric Firewatch) finalizes that separation. No dialogue, no plot-point recaps, and perhaps most reassuringly, no incessantly chatty Heads-Up Display. It’s incredible how fundamentally different a video-game experience is when the player is not barraged with numerics and selections and the rest of the calculus of combat. It’s… it’s relaxing. Focus shifts from an anxious balancing act of shields, damage per second, and ammunition, to a simpler appreciation of everything going on in the world around you. That essence of departure is the conceptual bedrock of Peace Games - and, love them or hate them, they mark a refreshing alternative to the world of suppressive fire and min-maxing we’ve come to expect from our leisure time.